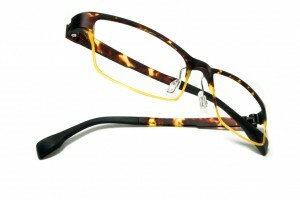 Ogi Eyewear launches Evo – Tec, a new sophisticated eyewear collection for the modern male. Ogi believes this revolutionary new product is the future for men’s eyewear, typically the most overlooked category in the market place. Constructed of exceptionally lightweight new material (Ultem), these Evo-Tec designs merge the soft appearance of plastic with the thickness and lightweight aspects of titanium. The Evo –Tec collection debuts in five styles each available in four different colour combinations. Soft lines and smooth curves give the 4801’s classic model a sleek persona. Designed with revolutionary Ultem material, the rectangle shape frame offers impeccable comfort and durability, while never sacrificing style. A matte finish with colour combinations such as tortoise, green demi and blue demi, this Evo –Tec design presents a modern sophistication. “Ogi feels men are consistently neglected in the marketplace. In 2013, we will be focusing on men’s eyewear beginning with the Evo – Tec collection. We believe the modern man will embrace this new lightweight revolutionary material, and find it to be a great addition to his wardrobe,” adds Joe Tallier. This entry was posted in lentilles cornéennes by Envision Magazine. Bookmark the permalink.